Ford has an extensive history within the world of motorsport and many of the Ford vehicles over the years have gained iconic status for their impact on the motoring world. Cars like the Ford Mustang and the Ford GT are synonymous with incredible performance and beautiful styling, with fans across the world recognising the innovation and value brought to the industry by Ford. 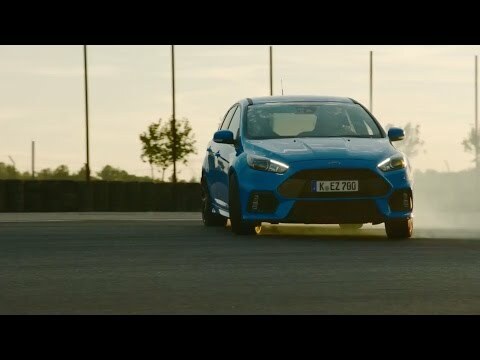 All of Ford’s racing heritage has helped to influence and develop the range of vehicles available to buy, with many of the high performance vehicles like the Focus ST, Fiesta ST and Focus RS utilising technology developed from Ford’s racing experience. The Ford GT symbolises the Ford Performance series, with its sleek design based on the new Ford GT supercar – the most advanced Ford production vehicle ever, featuring the latest in light-weighting, aerodynamics and EcoBoost engine technology, and an innovation showcase for the Ford brand. From speed to muscle, Ford Performance also houses one of the most recogniseable cars in the world, the Ford Mustang. With it's growling 5.0 litre V8 engine, or 2.3 litre ecoboost, it's more fuel effiencient alternative, the Ford Mustang has its reknown road presence whilst packed with the latest in automotive technology. The Ford Performance range is only available at designated Ford Store branches. Here at Birchwood, we are honoured to be one of the select few branches in the UK to exhibit and sell the complete Ford range. Click here to find out more about our Birchwood Ford Store in Hastings.